Tommy Fleetwood reflects on sneaking through to the weekend and the changes he is making in his golf bag. 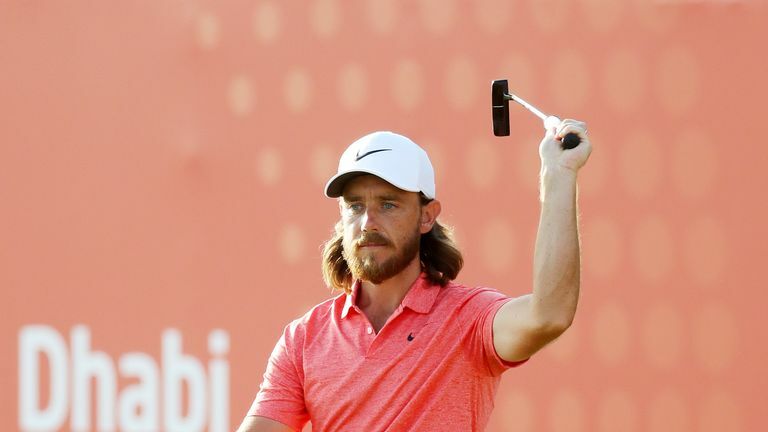 Tommy Fleetwood is relishing the chance to have two more rounds to test out his game after sneaking through at the Abu Dhabi HSBC Champions. Report and highlights from the second round of the Abu Dhabi HSBC Champions. Fleetwood, who has won the Rolex Series opener in each of the previous two years, followed his opening-round 69 with a level-par 72 on Thursday at Abu Dhabi GC to slip nine strokes off the pace. The Englishman looked in danger of making an early exit after a bogey at the par-four 14th dropped him below the cut, but he then birdied the par-five last to make it on the mark. "It was nice to get one in," Fleetwood said about his final-hole birdie. "My putting was pretty awful today. The things that I wanted to do better from yesterday, I did, but just a couple of short ones were missed and then I just holed nothing at any makeable range. "But you can't stress enough the importance of just making cuts anyway in professional golf. That's the game. It doesn't matter what level you're at. "I've not thought about defending it at all this week. I want to, clearly, but the last two years I've not thought about winning it at all. I'm just trying to do things as good as I can. "I'm trying to improve what I want to improve and just take it shot by shot. I'm really, really happy that I've got two days on the golf course because hitting balls on the range is not like playing." 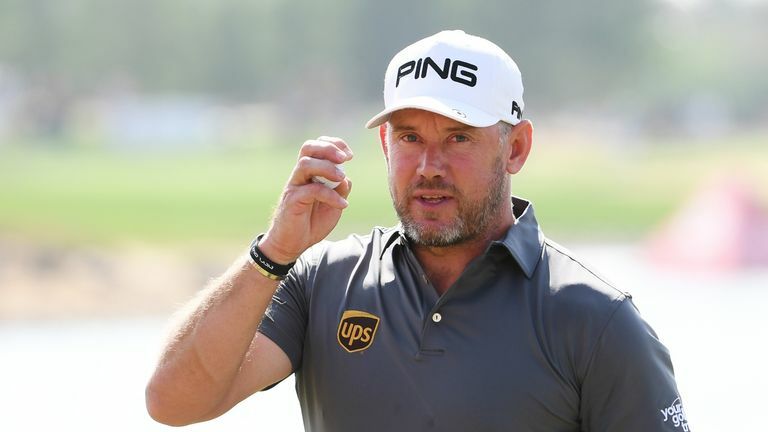 Shane Lowry holds a one-shot lead over South African duo Richard Sterne and Louis Oosthuizen, with Lee Westwood two off the pace in fourth after a bogey-free 68. "I felt like I played pretty similar to yesterday," Westwood said. "Hit a lot of good shots, drove the ball pretty well. Lee Westwood felt he played 'stress-free golf' on his way to a bogey-free 68 during the second round in Abu Dhabi. "These fairways aren't the easiest to hit. You've got to cross some angles, and they seem to have narrowed them a bit, so you're going to miss a few. I seemed to be in the semi quite a lot. "I wasn't far off the fairways and had pretty good control of the ball most of the day. I putted nicely again. Three-putted the 18th, my ninth hole, but other than that, rolled some nice ones in and hit a lot of good putts that just grazed the edge. "So I was pleased with the way that I played and hit some nice iron shots and controlled everything pretty well."